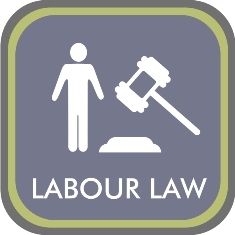 Labour law can be defined as a system of rules that regulates a certain aspect of modern society, namely work or labour. Labour law focuses on a variety of workplace relationships and there are specific rules pertaining to each of these relationships. These relationships vary for instance; it may entail relationships between employer and employees, employers and trade unions and between employers’ organizations and trade unions. This being said, it might also be of interest to note that the Government is the single largest employer in South-Africa. The Government furthermore has rule-making power and therefore the relationship between the Government, employers, employees, trade unions and employer’s organizations might also be of interest. • The Constitution (Section 8, 23, 33, 36 and 39 may be relevant). • South-Africa is a member country of The International Labour Orginisation (ILO) which is an important source of international labour standards. • The Labour Relations Act seeks to give effect to ILO – instruments pertaining to freedom of association and unfair dismissal. The Conventions and Recommendations of the ILO is also an important point of reference in the event that the LRA does not provide guidance. • The Basic Conditions of Employment Act provides minimum standards of employment for many categories of employees, however it may be changed or varied by means of bargaining council agreements, collective agreements or even in some instances by way of agreement between the employer and employee (as they are allowed to agree to more favourable terms). • The Employment Equity Act also focuses on the employment relationship. • Common law (law inherited from Roman and Roman Dutch Law) and the Employment contract itself. • Protection of data in the workplace / corporate context. • Protocols with regards to data protection. • Protection of personal information as well as PAIA- manuals and procedures.